Pension Welkom-in is a cozy and friendly guesthouse which is situated only 150 mtrs away from the seafront, the beach, the casino, the city centre and the train station. The apartments contain TV, internet, a kitchen with dishwasher, watercooker and a fridge and also with a private bathroom with toilet. Apartments (2 -4 persons) from EUR 35,00 p.p.p.n. Studio's (2 persons) from EUR 32,50 p.p.p.n. EUR 2,00 touristtax p.p.p.n. is not included in the price. On request we can provide a childrens bed free of charge. We will also provide towels, bedclothing and a hairdryer for free! Free parking! The price does not include breakfast. You can shop in the supermarket across the street and make your own, or you can get a breakfast in one of the beachbars or in one of the restaurants in the centre of Zandvoort. 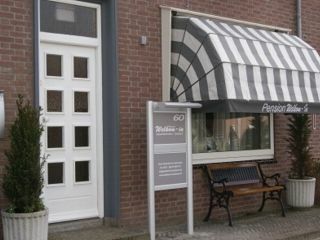 Pension Welkom-in is easy to find, across the supermarket Dirk vd Broek. We don't have a frontoffice, but we're around. Please call us when you've arrived (06-53999112). You can park your car in the street.